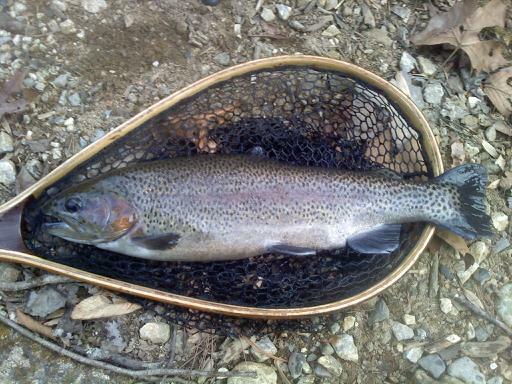 Headed to the Tye River yesterday to fish for some trout I saw earlier this week. 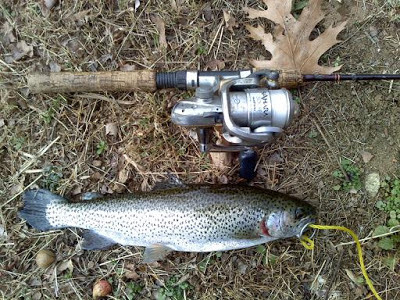 Only managed to land one rainbow and a couple fallfish, the fish were very skittish and despite many different baits and presentations, the fish wouldn't hit. When I threw out a huge glob of powerbait as a joke, I landed a nice rainbow, and missed one on the next cast. But then the wind picked up and kept us from seeing the fish, so we headed to the Piney River in Amherst County. 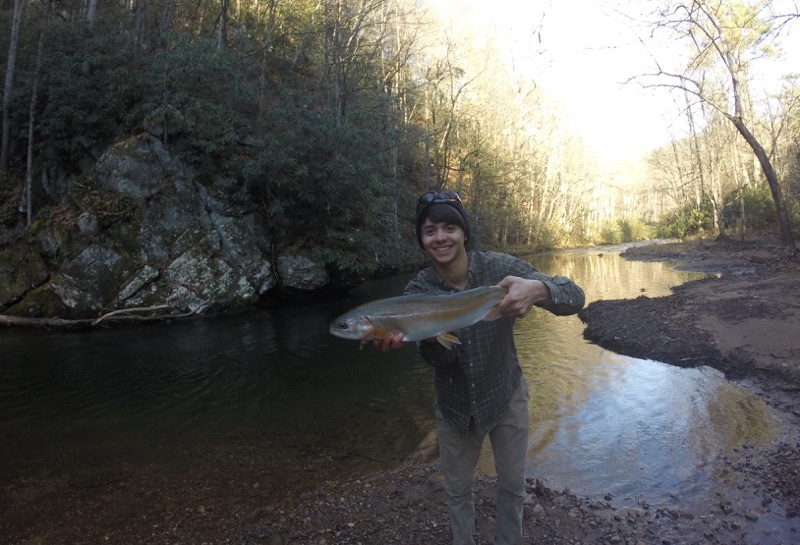 We arrived on the Piney after a long drive on a dirt/gravel road, my little brother was certain we would be seeing moonshiners if we looked carefully along the small branches running out of the mountains, but that wasn't important, we had trout to catch! The first place we fished was a large pool with two big boulders along the side of it, I caught two brookies on my first two casts, and then I landed a huge chunky rainbow out of the same pool, I fished for a while after that, but the fish had shut down. Wyatt caught a fish downstream of the pool I was fishing, and then discovered a large pod of trout in a small pool above where I was fishing. Between the 3 of us, we landed 6 in that pool, and then they shut down as well. We continued on up the creek and I caught a huge 13" male in a pool by himself, and then we headed up the creek in search of more schools of fish. There was a large pull-off spot on the side of the road and there were a couple nice looking holes beside it, so we figured they put some in there when they stocked on the 2nd, and headed down. Wyatt missed 2 fish below that stretch, but other than that, it was vacant. 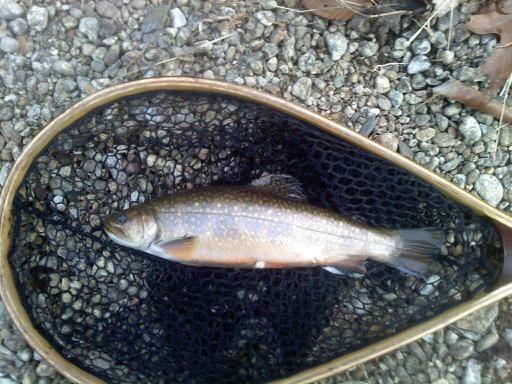 We headed back down to a pool above the first stretch we fished, and I landed two more brookies. Ewing also landed a good brookie in about 4 inches of screaming fast current, it was pretty cool to watch it chase the trout magnet in that fast water. We then headed back down to the hole we started at and got all but one fish to our 3 man limit. We headed home and I received the privilege of cleaning them all haha... But with all this practice, one day I will be cleaning fish at a rate that will put anyone to shame. Thanks for reading!